In early July 1980, Dwight Evans' career stood at a crossroads. For the past seven and a half seasons, Evans had played right field for the Boston Red Sox. Evans possessed one of the most feared throwing arms in the game and was recognized for his defensive skills which had won him three Gold Glove Awards. Evans was a decent hitter but had yet to have a breakout campaign at the plate. After struggling mightily in the batter's box during the first few months of the 1980 season, Evans found himself platooned with outfielder Jim Dwyer. Determined to remain Boston's starting right fielder, Evans sought the advice of Red Sox coach Walt Hriniak. Evans and Hriniak worked together on the beleaguered hitter's swing and not only pulled the veteran out of his slump but also helped him evolve into one of the era's most dominant sluggers and put together a Hall of Fame-caliber career. 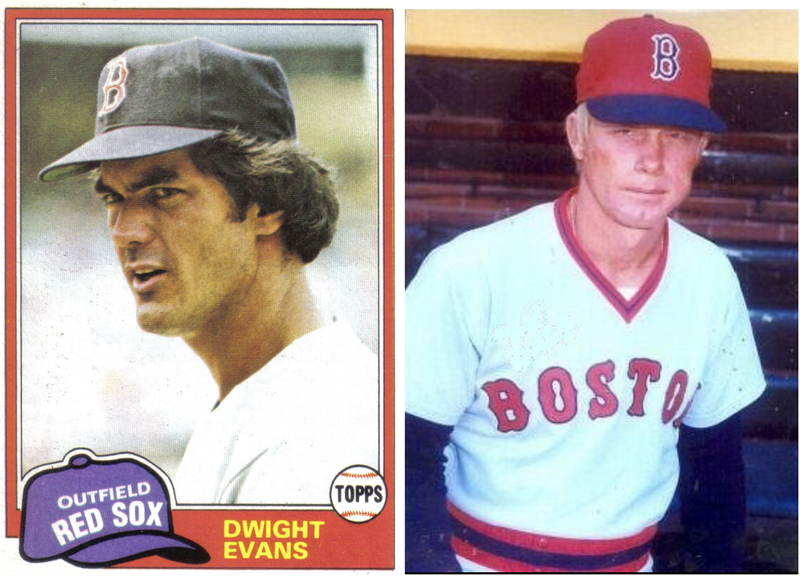 Dwight Evans was selected by the Red Sox in the fifth round of the June 1969 amateur draft and made his major league debut in September 1972. 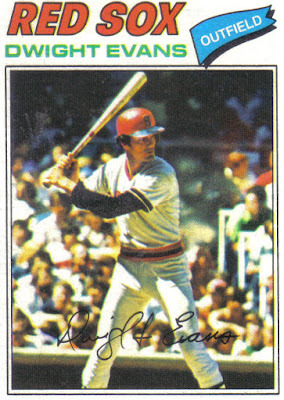 Evans acquired the nickname "Dewey" while in the minors and quickly established himself as one of the game's top prospects, winning the 1972 International League MVP for the Red Sox's Triple-A affiliate, Louisville Colonels. Evans drew praise from Red Sox manager Eddie Kasko, who called him "the best prospect anyone has." While Evans hit decently enough at the major league level, he became much more known for his defense as he possessed one of the strongest and most accurate throwing arms in all of baseball while covering Fenway Park's tricky and expansive right field. During the 1975 World Series, Evans showcased his defensive prowess with a sensational tie-preserving catch at the right field wall on Cincinnati Reds slugger Joe Morgan which set the stage for Carlton Fisk's memorable game-winning home run to force a decisive Game 7. Cincinnati manager Sparky Anderson called Evans' snag "the greatest catch I've ever seen." Even before the catch, Evans earned praise from Anderson who described the right fielder as a "future superstar" and stated he was "as good a young outfielder as there is in baseball and he's just starting to touch his ability." Boston came up short against Cincinnati in the Series. Nevertheless, Evans' amazing Game 6 catch drew attention to the young right fielder and he was honored with his first Gold Glove Award the following year. Walt Hriniak had a brief major league career of 111 plate appearances as a backup catcher for the Atlanta Braves and San Diego Padres during the 1968 and 1969 seasons. 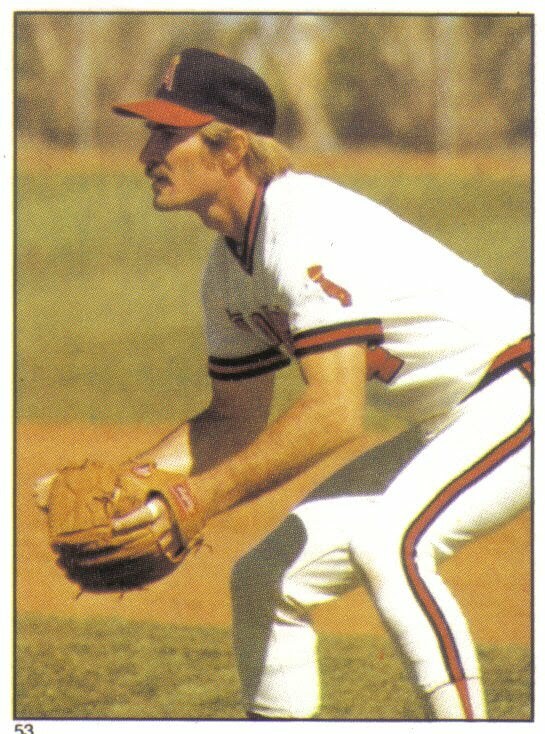 While in the Braves minor league system, Hriniak played for Shreveport manager Charley Lau. 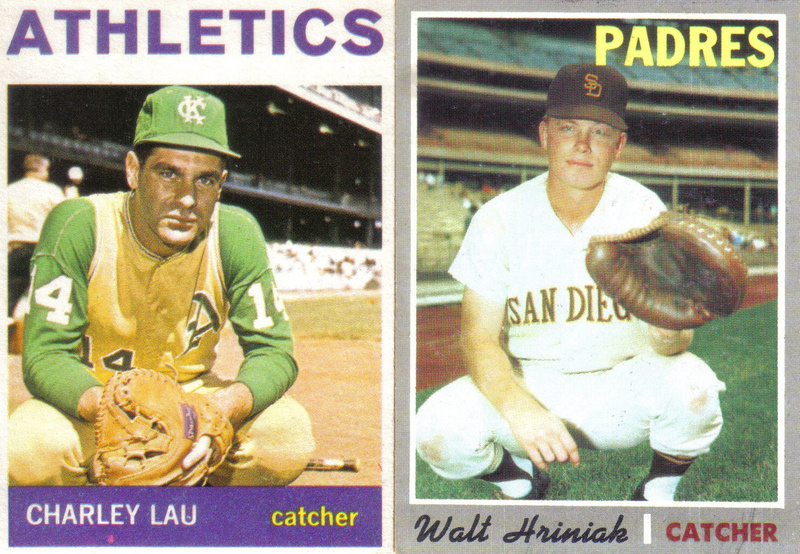 Like Hriniak, Lau was a backup catcher during his 11-year major league career. Lau, who soon became one of the game's most highly regarded hitting coaches, made a significant impact on Hriniak during their brief time together. "Charley had a patience and a compassion for guys who struggled," Hriniak said. "He was the best batting coach who ever lived. I stayed close to him for a lot of years after that one year I played for him. I wouldn't have made it to the big leagues without him." After his playing career ended, Hriniak worked for the Montreal Expos, taking on many different roles within the organization, including hitting coach and manager in the club's minor league system. Hriniak served as first base coach for the Expos at the big league level for 1974 and 1975. In 1977, Hriniak joined the Red Sox as bullpen coach under manager Don Zimmer. Although there was technically no hitting coach when he joined the club, Red Sox hitters often worked with Hriniak who taught a style similar to that of his mentor Lau—stressing that the batter keep his head down on the ball, weight back, and focus on driving the ball up the middle. Hriniak drew praise for his work with future Hall of Famer Carl Yastrzemski who reached the dual milestone of 3,000 hits and 400 home runs during the 1979 season. "Yaz" felt Hriniak had been so instrumental in his achieving these milestones that he presented the coach with an inscribed watch. In November 1979, Boston signed Evans to a five-year contract extension following back-to-back seasons in which he reached the 20-home run plateau and was honored with Gold Glove Awards for his sensational defense in right field. The contract extension undoubtedly gave Evans some degree of security after being the subject of trade rumors. Going into the 1980 campaign, Evans owned a career batting average/on base percentage/slugging percentage slash line of .261/.341/.443. Although Evans had yet to live up to the potential forecast for him earlier in his career, his patience at the plate and ability to hit for power gave him an above average 112 career OPS+ through his first seven full seasons. 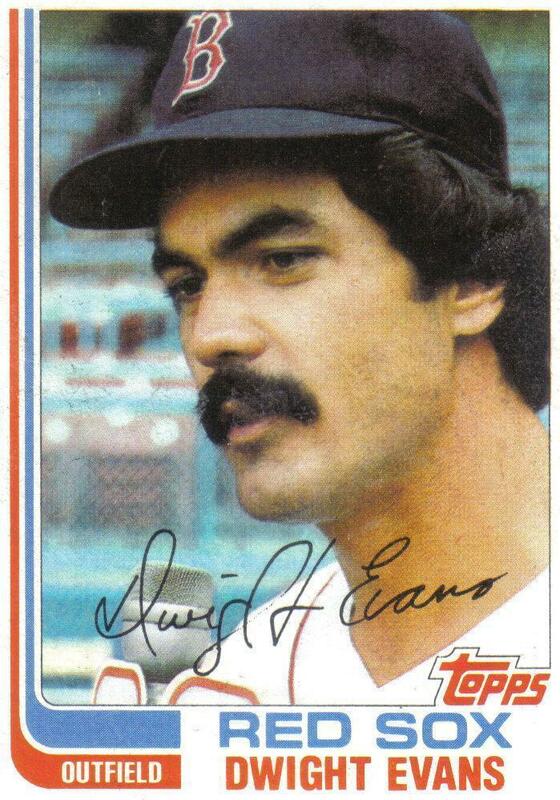 However, Evans slumped mightily to begin 1980, going hitless in his first 14 at bats. 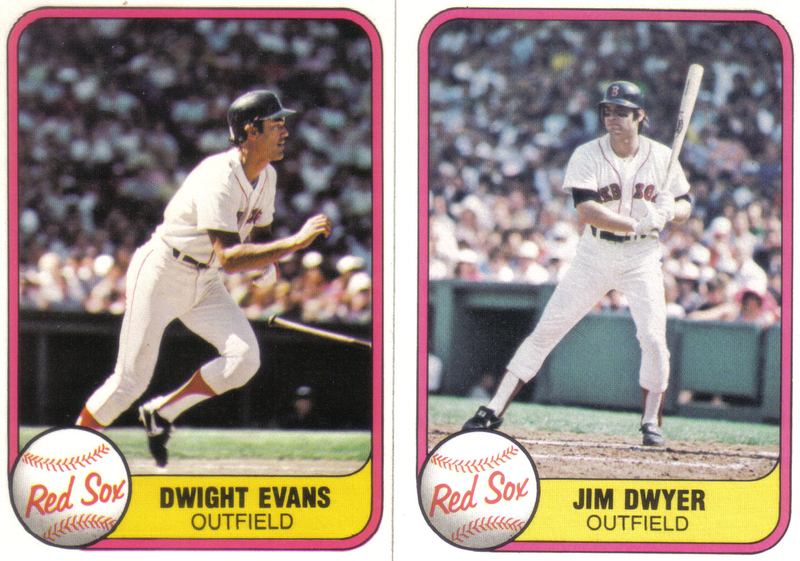 In late May, with Evans batting below .200, Boston began platooning their slumping right fielder with Jim Dwyer. Evans continued to struggle and found himself benched in favor of the hot-hitting Dwyer, who spent most of the first three months of the season batting well over .300. Fortunately for Evans, Dwyer struggled to hit against left-handed pitching and thus was rarely started against southpaws and viewed more in a bench player role than as a starter. Nevertheless, through the first three weeks of June, Dwyer drew most of the starts over Evans in right field. As Dwyer's hot bat cooled, Evans found his way back in the starting line up by the end of June. However, with his batting average slipping back under .200, it would likely only be a matter of time before Evans would once again be platooned with or benched in favor of Dwyer. With that in mind Evans sought the help of Walt Hriniak. "I clearly needed to make some changes," Evans recalled seeking out Hriniak, "I had basically lost my job. I had nothing. I had hit bottom. It's a cliché but it's true, sometimes you have to hit bottom to make positive changes. I was messed up mechanically and mentally. That's when we started to work together." On the afternoon of July 3, prior to that evening's game against the Baltimore Orioles, Evans and Hriniak arrived early for a special one-on-one batting practice session to work on the right fielder's beleaguered swing. Under the blazing Baltimore sun in the thick humidity of the O's Memorial Stadium, Evans hit countless balls pitched to him by Hriniak. Carl Yastrzemski, Evans' closest friend on the team and himself a devoted pupil of Hriniak's methods, watched the practice while Boston Globe writer Peter Gammons shagged flyballs in the outfield. At the end of the practice, Yastrzemski told Gammons, "You'll never forget this day because Dwight finally learned and got his balance at the plate. He's got his feet planted and his head still and his career starts over today." Although longtime Red Sox player and coach Johnny Pesky had been given the official title of the club's hitting coach earlier in the year, it was not surprising Evans would seek help from Hriniak after witnessing the positive impact his methods had on Yastrzemski. A lot of Evans' struggles in the batter's box stemmed from a lack of confidence and continuity. Evans regularly tinkered with and altered his batting stance and swing, earning him the nickname "The Man of 1000 Stances." Evans recounted his struggles at the plate, "I was the easiest out in the league. Guys would tell me, 'You're coming off the ball.' 'Hey, great. How do I stop?' They called me the man of many stances. I had about 300 of them. I used to change not only from game to game and at bat to at bat, but sometimes from pitch to pitch. That's how confused I was." After working with Hriniak, Evans adopted and stuck with a new batting stance in which he crouched down, held the bat flat, kept his head down on the ball at all times, shifted his weight to his right foot while curling his left foot inward with his toe just touching the dirt, and releasing his top hand from the bat just after making contact. Hriniak remembered revamping Evans' stance, "The first thing we did was get him into a stance he would stay with through thick and thin. His weight had to be back, his balance on the balls of his feet, his head down and his shoulders square." The new batting stance also focused on keeping Evans' head still, thereby giving him a longer look at the ball. Hriniak detailed, "All that motion was taking away from Evans' concentration, because it wasn't letting him pick up the pitcher's motion until it was too late." Having a longer look at the ball likely made Evans more comfortable at the plate. Most of Evans' discomfort in the batter's box could be traced back to two serious beanballs he took to his head earlier in his career. On August 22, 1973, towards the end of Evans' first full campaign, the young right fielder was knocked out by an errant pitch from Texas Rangers reliever Mike Paul. Despite being hospitalized, Evans spent no time on the disabled list and quickly returned to the starting line up. Just over five years later, on August 28, 1978, Evans fell victim to another beanball, this time at the hands of Seattle Mariners hurler Mike Parrott. Once again, Evans was sent to the hospital and once again he was back on the field without spending anytime on the disabled list. However, the Parrott beaning affected Evans much more than the one by Paul, giving the right fielder double vision and vertigo. Evans struggled at the plate and made uncharacteristic errors in the field before finally being benched during the last week of the season when it became apparent how much the beaning had affected him. "I'd look up for a fly ball, and I'd see three or four balls, and I was just hoping to catch the right one," Evans recalled. "It was the worst feeling I've ever known." While little was known about the effects of post-concussion syndrome at the time, it is likely something that afflicted Evans as a result of those beanings. Evans even admitted being hit in the head by Parrott's errant pitch made him "gun-shy at the plate the next couple of years." In addition, Evans was also hit in the back of the helmet by Detroit Tigers hurler Dave Rozema early in the 1980 season on April 27. Fortunately, Rozema's beanball was much less severe than those thrown by Paul and Parrott. However with his Hriniak-inspired batting stance keeping his head still and giving him more time to pick up the ball, frightening beanballs would no longer be a running theme in "Dewey's" career. As a right-handed hitter at Fenway Park, Evans had a tendency to try and pull the ball toward the "Green Monster" left field wall. "Although I never had home run on my mind, I used to pull everything to left field anyway," Evans remembered. "Pitchers were getting me out the same way all the time, and I was just standing there letting them." Hriniak noticed Evans' struggles, "Basically, he was trying to pull everything too much. All the good hitters use the full field when they hit the ball." Hriniak moved Evans away from his pull-happy approach to become more of an up-the-middle hitter, "In order to pull the ball, you have to start your swing early," Hriniak explained. "Hitting to the middle of the field gives you a longer look at the ball, which means more walks." Evans' new hitting approach immediately paid dividends. Prior to the July 3 special session with Hriniak, Evans owned a horrid .192/.282/.345 batting average/on base percentage/slugging percentage slash line. However, with his new batting stance, Evans quickly broke out of his slump--hitting a blistering .378 for the rest of July to raise his average from a lowly .192 to a much more respectable .255. Overall, Evans put up an excellent .311/.404/.570 slash line after the July 3 practice with Hriniak to finish year at .266/.358/.484--making his platooning and benching earlier in the season a distant memory. Another pivotal moment occurred for Evans in 1980 when the Red Sox fired manager Don Zimmer during the final week of the season. Zimmer had never been the biggest proponent of Evans--actually suggesting the club trade the right fielder on multiple occasions. In addition, Zimmer rarely batted Evans higher than sixth and often dropped him to one of the bottom two spots in the order. Boston hired veteran skipper Ralph Houk to guide the team for 1981. Houk had previously managed the New York Yankees and Detroit Tigers, most notably being at the helm when the Bombers won the 1961 and 1962 World Championships. Coming off a season in which Evans experienced some of his mightiest struggles and greatest accomplishments, Houk felt the club was underutilizing the right fielder. 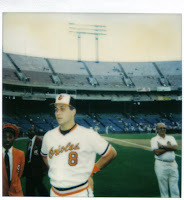 Prior to the beginning of the 1981 campaign, Houk informed Evans he would be moving him up in the batting order to the number two spot. "I told him I thought we were wasting him batting him seventh or eighth," Houk recalled. "I think he was kind of amazed I felt that way, but once I explained my reasons to him he took right to it. He had good speed; his on-base percentage was excellent; he hit the ball well to right and center, so he could move runners from first to third with less than two outs. Plus, it gave him an extra time at bat in the late innings, which, with his power, would win us a few games." Several years after he retired, Evans spoke fondly of his relationship with Houk, "Greatest manager I played for. He made me feel 10 feet tall. He would say things like, 'I'll handle the press and you just go out and play. You're the best right fielder in baseball.' "I remember at the beginning of one season he said, 'You led this team in OBP last year and you hit 6th or 7th. I'm going to hit you 2nd this year, you're gonna get another 100+ at bats. Your home runs, RBIs, everything are going to go up.'" Playing for Houk and slotted further up in the batting order, Evans carried the momentum from the previous season into 1981, hitting a splendid .339 in April. "I had felt like no one could get me out from the first day of the season," Evans remembered. "From day 1, I just felt like I was locked in." Evans continued his sensational season, hitting 9 home runs in May and being named AL Player of the Month. However, on June 12, the season grinded to a halt when the MLB Players Association went on strike against the owners, wiping out nearly two month's worth of games. Nevertheless, Evans finished the strike-shortened campaign with a .296 batting average and .415 OBP along with 22 home runs and 71 RBI in just 108 games. Evans' Hriniak-inspired batting stance maximized his patience and power while Houk's belief in him put the right fielder in a position to better showcase his abilities. 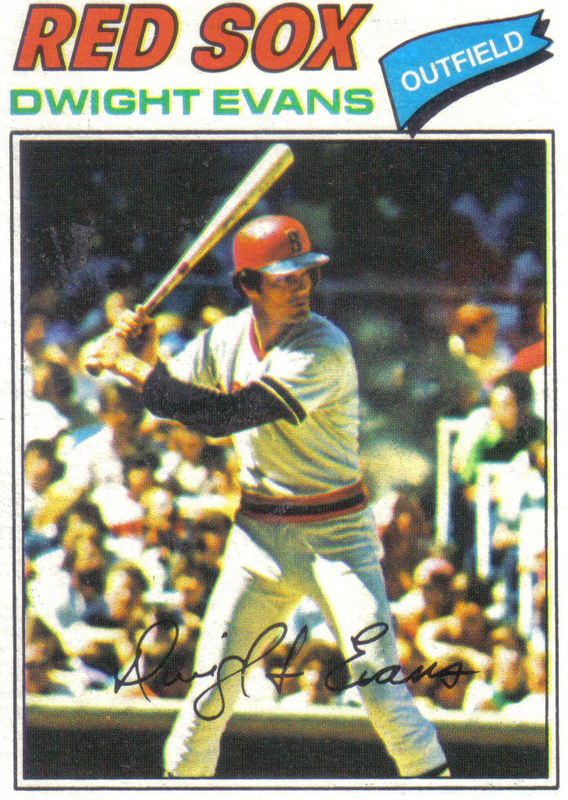 "Dewey's" 22 round-trippers tied him for the AL lead with Eddie Murray, Bobby Grich, and Tony Armas. Aside from leading the AL in longballs, Evans also paced the Junior circuit in several categories including OPS, walks, total bases, plate appearances, and times on base. In addition, Evans accumulated the AL's highest WAR with a 6.7 mark and was the league's runner-up in both OBP and runs scored. Moreover, Evans played in every one of Boston's games and was recognized on defense with the fourth Gold Glove of his career. Following his superb 1981 season, Evans put together a series of good to excellent offensive campaigns through the rest of the decade as he became a consistent run-producing machine in Boston's line up. 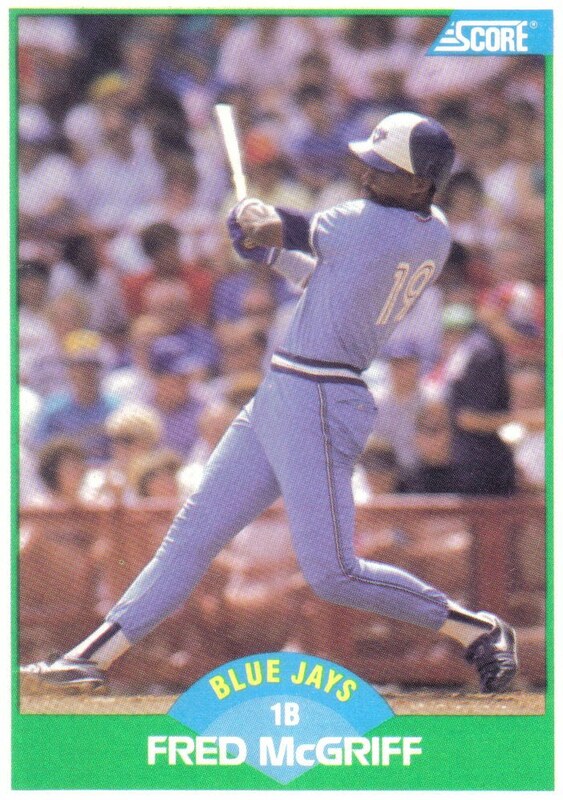 In fact, from 1982 to 1989, Evans either drove in or scored 100 runs each season, save for 1983 when a groin injury limited him to 126 games and 1986 when he still managed to post a solid 97 RBI/86 runs scored combination. Overall, Evans finished the decade of the 1980's near the top of several key offensive categories such as home runs, RBI, and runs scored. Evans' patience and power tormented opposing pitchers during the decade, as "Dewey" led the MLB with 605 extra bases and trailed only Rickey Henderson in walks and times on base. Evans was also a constant threat to score or drive in a run, leading all Eighties sluggers with 1,067 runs created while finishing behind only Dale Murphy in combined runs scored and RBI with 1,856. Moreover, no AL slugger finished with a higher longball total than Evans' 256 during the decade. Prior to his special batting practice session with Hriniak, Evans was a pull hitter who always put up his best totals at his home ballpark, largely by aiming for Fenway Park's enticing Green Monster. 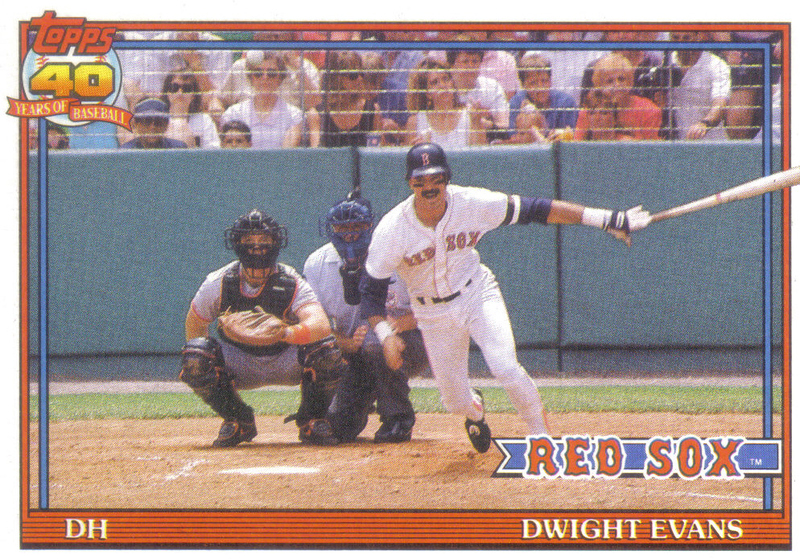 However, after adopting the Hriniak-inspired batting stance, Evans was able to successfully hit to all fields and actually put up better OPS totals on the road in 1983, 1986, 1987, and 1989--something uncommon for Red Sox sluggers. As he evolved into an offensive force, Evans continued to be recognized for his defense with five straight Gold Glove Awards from 1981 to 1985, which brought his career total to eight. With Johnny Pesky retiring from full-time coaching after the 1984 season, Hriniak officially became Boston's hitting coach. Under Hriniak's guidance, Evans had become one of baseball's best hitters and the pair continued to work together on a daily basis to get the best out his bat. Evans recounted his daily batting practice sessions with Hriniak, "Some days, when I was locked in, it might only be for 15 swings. Other days it was 50. If I was really struggling it could be 150. I didn't just work hard, we worked smart. It's like shooting free throws. The guy that I want on the line at the end of the game is the guy that works at it every single day." 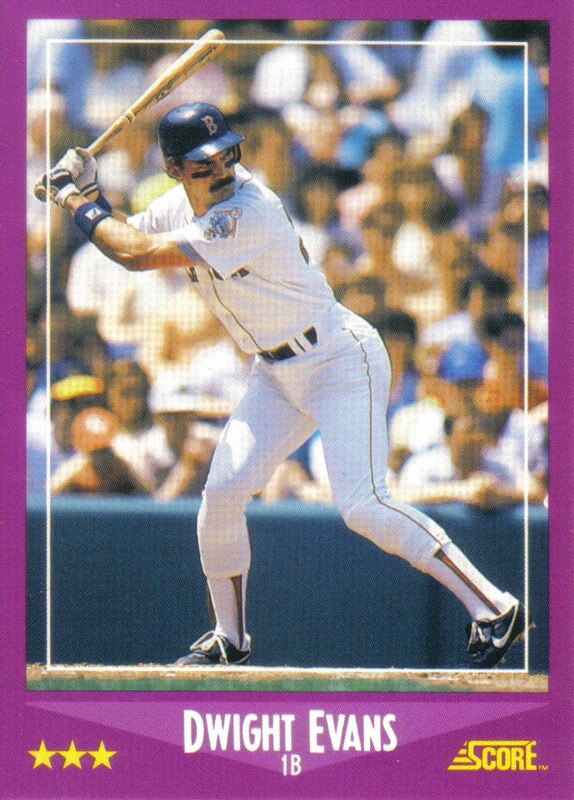 In addition to Evans, Hriniak connected well with many Boston hitters, particularly Wade Boggs who won the AL batting title five out six years between 1983 and 1988. Ralph Houk also retired after the 1984 season and was replaced by John McNamara as manager. While Houk almost exclusively hit Evans out of the number two spot in the order, McNamara moved "Dewey" around in the order much more--batting him out of the six-hole and leadoff spot more than anywhere else. Evans acted as a strong veteran presence for McNamara while still being a key offensive force when Boston returned to the playoffs in 1986. The Red Sox won the AL Pennant in an exciting ALCS against the California Angels but fell to the New York Mets in an even more thrilling World Series. With many of the club's veteran players such as Jim Rice, Bill Buckner, and Don Baylor going into decline after the Pennant-winning season, Evans started to be hit more out of the three, four, and five spots in the order as the decade drew to a close. Boston used Evans at first base in June of the 1987 season while the team's regular first baseman, Buckner, was on the disabled list. After the club released Buckner in late July, Evans spent the rest of the year at first while rookie Todd Benzinger took over in right field. 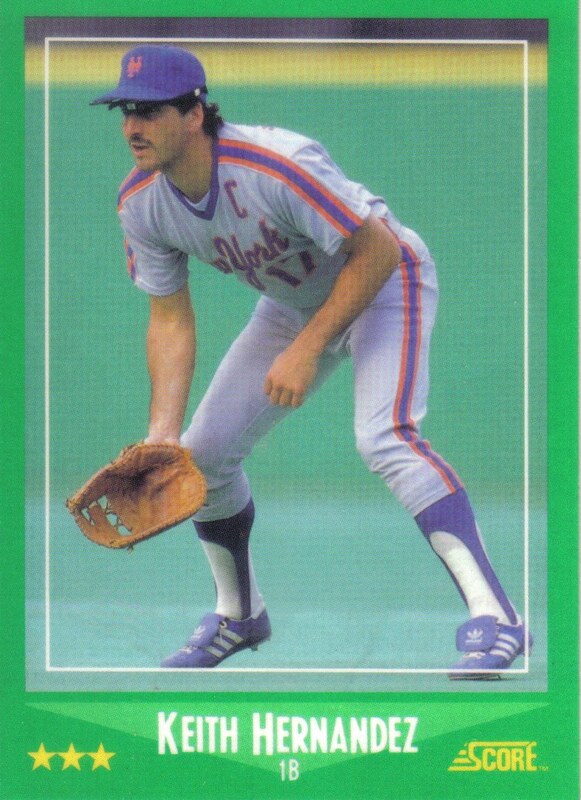 However when Benzinger proved to be too injury-prone to regularly play outfield, Evans was moved back to right midway through the 1988 season. Evans' workmanlike approach to the game allowed him to remain a dominant offensive force well into his thirties. Evans kept himself in excellent shape as he aged and was one of the leanest and most fit players of his era. Like his good friend Carl Yastrzemski, Evans prided himself in staying in the line up and rarely missed a game. "I like the way Yaz went about the game," Evans said of his friend. "Not just playing in pain. Producing in pain." In fact, Evans ranked fourth in games played for the 1980's and started 380 consecutive games between October 1980 and August 1983 before a serious groin strain sidelined him for three weeks in what was his only trip to the disabled list for the decade. When the Red Sox struggled to start the 1988 season, McNamara was fired after the All-Star break and replaced by the club's third base coach, Joe Morgan. Boston caught fire with Morgan at the helm and won the AL East before being swept in the ALCS by the Oakland Athletics. Evans remained in the heart of the batting order under Morgan and was a key contributor to the division title with 111 RBI. 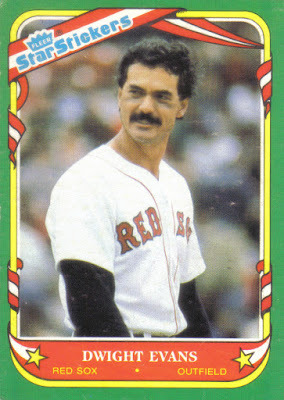 Surprisingly, Hriniak decided to leave Boston following the 1988 season and signed a lucrative contract to become the Chicago White Sox hitting coach. Hriniak followed in his mentor Charley Lau's footsteps by joining the White Sox as Lau had signed a rich contract to be the club's hitting coach in November 1981. Sadly, Lau passed away from colon cancer on March 18, 1984. Despite Hriniak's success with Evans, Yastrzemski, Boggs, and others, the hitting guru had his detractors--one of which was Red Sox legend Ted Williams, who often helped out the club during spring training as a batting instructor. Unlike Hriniak, Williams felt the best way to swing was slightly up since the ball angles down and that hitters would meet it squarely along its path. Williams particularly was not a fan of the teachings of Lau and once said Hriniak's mentor "may have set hitting back 25 years" and even stated Evans "pretty near makes me vomit the way he swings." Hriniak also struggled to connect with the younger core of hitters coming up within the Red Sox organization who were not as receptive to his methods. Mike Greenwell, the most accomplished of Boston's young core criticized Hriniak, feeling the coach had tried to change his hitting style. Hriniak explained his reasons for leaving the Red Sox, "I spent 12 years (in Boston), it's my home. I needed to get with a different-type organization. I needed a change. And Charley Lau had been with the White Sox, and they were committed to his kind of teaching." Just as in Boston, Hriniak had found several willing pupils in Chicago, eager to learn his hitting style including Frank Thomas, Carlton Fisk, and Harold Baines. 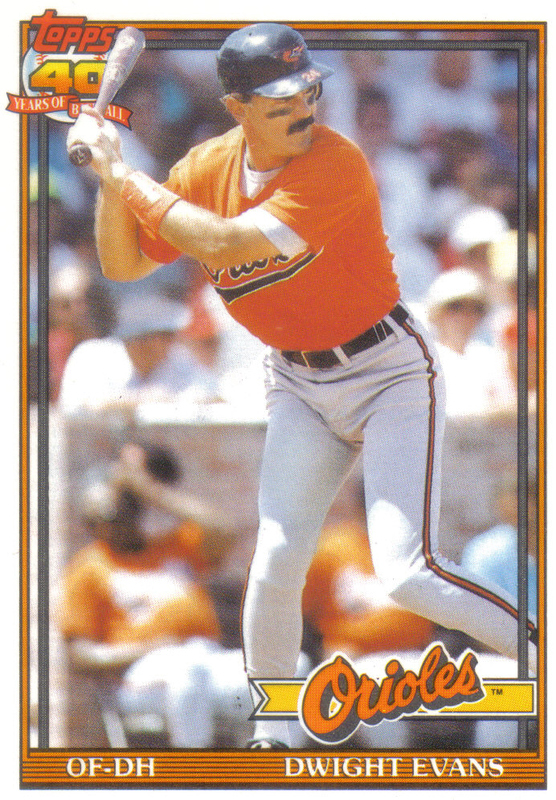 Although, Hriniak moved on to the White Sox, Evans continued using the same batting stance and didn't skip a beat, hitting .285 and driving in 100 runs in 1989. “The biggest thing a hitting coach can teach you is that you don’t need him anymore,’’ Evans said of Hriniak. 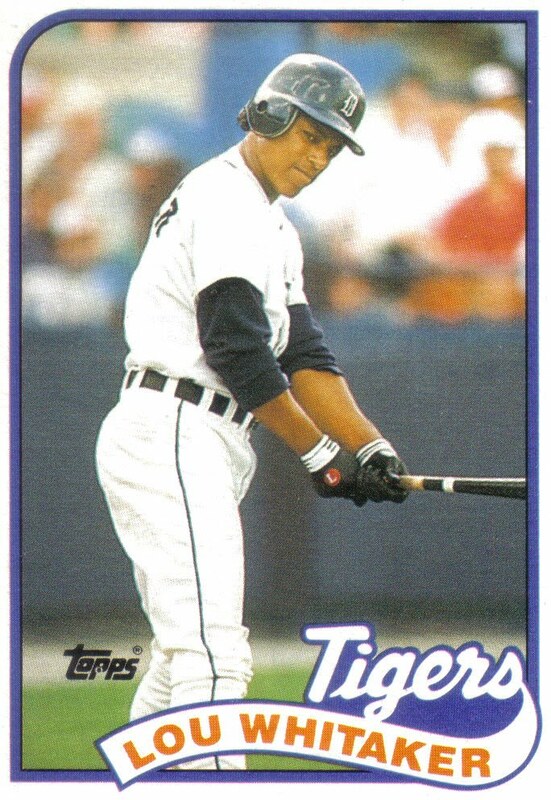 “He wanted to teach you to survive on your own.’’ Evans put up his solid hitting totals in 1989 despite dealing with back issues which relegated him to designated hitter duty for the latter half of the campaign. Unfortunately, back issues continued to plague Evans throughout the 1990 season and limited him to just 123 games. Evans batted just .249 with only 13 home runs but had several key hits as Boston held off the Toronto Blue Jays to take the AL East. After the Red Sox were once again swept by the Athletics in the ALCS, the club decided to release Evans who was just days shy of his 39th birthday. At one point it appeared Evans might reunite with Hriniak and sign with the White Sox before ultimately signing with the Baltimore Orioles for 1991. Evans hit just 6 home runs in 101 games but his patience at the plate was still present as he reached base at a .393 clip in what turned out to be his final season. Evans retired with impressive offensive career totals of 2,446 hits, 385 home runs, and 1,384 RBI to complement his sensational right field defense which netted him eight Gold Glove Awards. Once a struggling hitter who relied on his glove to keep him in the line up, the consistency and confidence Evans gained under the tutelage of Hriniak served him throughout the rest of his career and empowered him to evolve into one of the era's most dominant sluggers. In fact, a comparison of Evans' statistics before and after their July 1980 batting practice session underscore the positive changes the hitting guru made on "Dewey's" career. Along the way Evans even earned the respect of one of his sharpest critics, former manager Don Zimmer who had exiled him to the back of the batting order and tried to trade him. 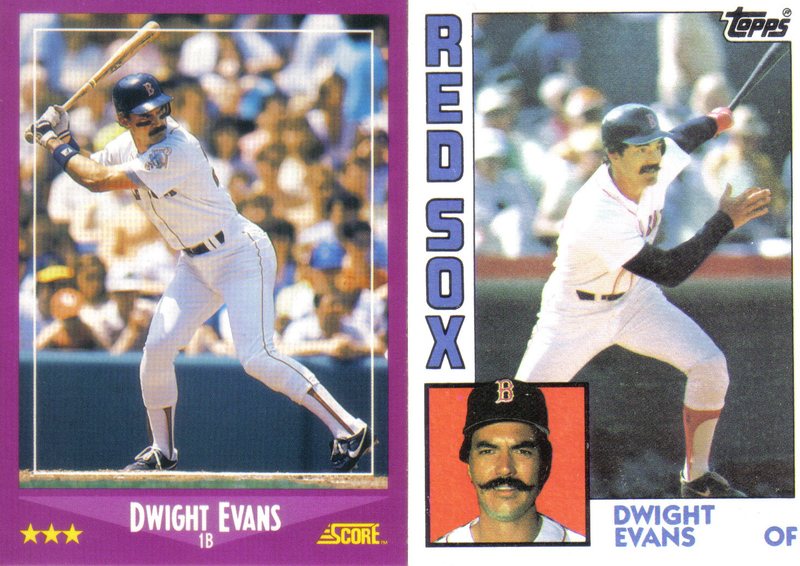 "When I had Dwight, he was a struggling hitter; always a great right fielder--probably the best that ever played in Fenway Park", Zimmer said of Evans. "This man's put up some big numbers, and he put them all up after I got fired. Dwight became a real, real good hitter. He turned out to be a heck of a player." After retiring Evans joined Hriniak in the White Sox organization when he reentered the game as a roving minor league instructor in 1993. That same year Hriniak helped lead the White Sox back to the postseason, winning the AL West Division title before falling in the ALCS against the Blue Jays. Nevertheless, Hriniak was let go by the White Sox following the 1995 season and retired from full-time coaching. Evans left the White Sox organization to become the Colorado Rockies major league hitting coach in 1994. Though the Rockies were managed by his former Red Sox teammate Don Baylor, Evans lasted only one year as the team's hitting coach. In 2001, "Dewey" returned to the Red Sox franchise as a player development consultant. Boston general manager Dan Duquette unsuccessfully tried to lure Hriniak out of retirement to be the club's hitting coach for the 2002 season. When Hriniak turned him down, Duquette hired the retired hitting guru's former pupil Evans for the role. Unfortunately, Evans' time as Boston's hitting coach was in some ways doomed from the beginning as the Yawkey family sold the Red Sox to John Henry before the season started. New ownership not only fired Duquette but also replaced manager Joe Kerrigan with Grady Little prior to the start of the 2002 campaign. As hitting coach, Evans helped improve Boston's offense with the club scoring 87 more runs and winning 11 more games than the year before. In addition, the Red Sox finished second only to the New York Yankees with an average of 5.30 runs scored per game as they narrowly missed the playoffs with a 93-69 record. 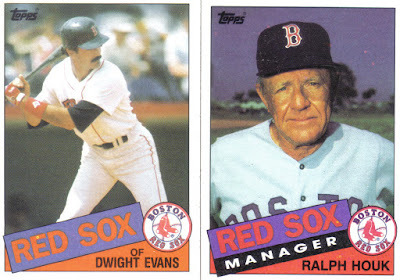 However, Evans along with first base coach Tommy Harper and bullpen coach Bob Kipper were selected under the previous regime and when Little was given the chance to select his own coaching staff for the 2003 season, they were not retained. Though "Dewey" was relieved of his hitting coach duties, on the same press release which announced his dismissal the franchise expressed interest in a continued role for Evans "given his place in Red Sox history and his significant contribution to the Red Sox as a player." Evans ultimately stayed with the Red Sox franchise, returning to the role of player development consultant--a position he continues to hold to this day. In the decades since Hriniak's retirement from full-time coaching, his methods have taken a backseat to those preached by Ted Williams and others who prefer an uppercut swing and focus on launch angle. However, Hriniak and his hitting methods made significant impacts on the careers of Evans and several other prominent sluggers of his era. In fact, Carlton Fisk, Wade Boggs, and Frank Thomas each mentioned Hriniak during their Hall of Fame induction speeches. Fisk, who played for both the Red Sox and White Sox while Hriniak coached for those teams, recognized Charley Lau "for introducing Walt Hriniak to the art of hitting" and had to pause to hold back the emotion when he named Hriniak as "the single most important person in my baseball life." Fisk said Hriniak taught him that "regardless of what goes on around you, maintain your focus, and your desire, and your motivation but most of all be honest to yourself." "Pudge" reminisced about working with Hriniak, "Man, the times we spent in the bowels of every stadium. The Sweat. The Blood. The Tears. The Conversation. The Relationship. The Friendship. The Closeness. I miss that and I'll cherish it forever." Fisk once again had to pause when he said, "I wouldn't be here if it wasn't for you, Walter." Each of Wade Boggs' five batting titles came while Hriniak was a member of Boston's coaching staff. Boggs said, "I had a fantastic hitting coach in Walt Hriniak." Boggs called Hriniak the "biggest motivator I ever had" and said the hitting guru "was able to get the most out of me each and every day." Frank Thomas won back-to-back AL MVP Awards in 1993 and 1994 in Chicago with Hriniak as his hitting coach. After Hriniak was let go by the White Sox, Thomas continued to work with the hitting coach. During Thomas' tearful, emotional speech, the "Big Hurt" said he had a special love for Hriniak and named him as his favorite hitting coach of all-time. Thomas added, "It didn't matter if we were 10 for 10, or 0 for 10, it was the same process every day." Similar to former teammate Fisk's comments on Hriniak, Thomas said, "Thanks, Walter. Without you, I know I wouldn't be here in Cooperstown today." However, Hriniak did not just focus on his team's star players as his methods were heralded by lighter hitting players such as Ozzie Guillen. "Walter Hriniak is the best coach I ever had," said Guillen, who spent several years under the hitting guru's tutelage in Chicago. "His work ethic is unbelievable. He didn't just worry about the stars. It didn't matter what kind of player you are, he was always worried about you." Guillen's comments echo those made by Hriniak about his mentor Lau. 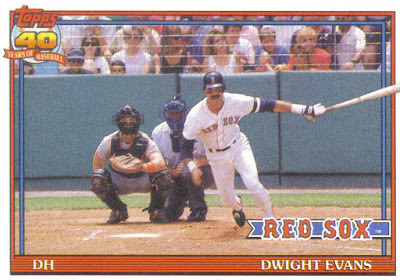 Conspicuous by his absence among those Hall of Fame players who mentioned Hriniak during their induction speeches, Dwight Evans has yet to be elected to Cooperstown. Despite retiring with solid career totals of 2,446 hits, 385 home runs, 1,384 RBI, along with 8 Gold Gloves, Evans lasted just three years on the BBWAA Hall of Fame ballot. Evans debuted on the 1997 BBWAA ballot with 5.9% of the vote--a surprisingly low total considering his strong career hitting totals and fielding accolades. Evans moved up 10.4% the following year, before plummeting to 3.6% on the crowded 1999 ballot in which Nolan Ryan, George Brett, Robin Yount, and Carlton Fisk debuted. Due to falling below 5% of the vote, Evans was thus ineligible to be included on future BBWAA Hall of Fame ballots. Evans recently reflected on his time on the BBWAA ballot: "I always thought I was on the cusp with my offensive ability and that my defense would kind of carry that, but it didn't." By falling just shy of the dual milestones of 2,500 hits and 400 home runs, Evans' career was much easier for BBWAA Hall of Fame voters to overlook. Evans' Hall of Fame case was also hindered by his .272 career batting average--an adequate but unspectacular mark. However, in the nearly two decades since Evans appeared on the BBWAA Hall of Fame ballot, advanced metrics such as WAR and OPS+ together with overlooked stats like walks, OBP, and runs scored have come to the forefront to be viewed alongside the main traditional stats of hits, home runs, RBI, and batting average. Evans' impressive .370 career OBP more than offsets his .272 batting average as his patience at the plate and ability to draw walks made him a consistent on base and scoring threat. In addition, his solid offense is showcased by his 127 OPS+ while his Gold Glove Award-winning defense is highlighted by his 66 fielding runs above average. Moreover, Evans' strong all-around play on both sides of the diamond and overall career value is underscored by his excellent 67.1 WAR mark. With the growing popularity of advanced metrics and recognizing of previously overlooked stats, "Dewey's" Hall of Fame case is much stronger than it was during his brief time on the BBWAA ballot. However, due to no longer being eligible on the BBWAA ballot, Evans' only path to Cooperstown is through the Era Committee. In their most recent election, the Era Committee voted Jack Morris and Alan Trammell into the Hall of Fame. Unlike Evans, Morris and Trammell both drew solid support with BBWAA voters and lasted the maximum number of years on the ballot. Yet in the same election, the Era Committee came just one vote shy of sending Ted Simmons to Cooperstown. Similar to Evans, Simmons had a Hall of Fame-caliber career that was overlooked by the BBWAA--actually not even garnering the requisite 5% of the vote in his first and only appearance on the writer's ballot. However, the voting patterns of the Era Committee have proven to be much less predictable than the BBWAA in large part because the electorate drastically changes each time they convene. Nevertheless, Evans is likely to be included on the Era Committee's ballot when the voting body meets in Fall 2019. After working with Hriniak to adopt the new batting stance, Evans not only broke out of his slump but also put together a string of solid seasons and evolved into one of the era's most dominant sluggers. Evans has always been quick to credit Hriniak with turning his career around. “If it wasn’t for Walter, I wouldn’t have played 20 years. He’s the best coach I’ve ever been around. His hard work rubbed off on everybody,’’ Evans said of his hitting mentor. "Walt Hriniak taught me how to approach the game and about a good work ethic," Evans added. "Hard work does pay off. A lot of people say practice makes perfect, but to me, to practice perfect makes it perfect. Walt taught me a lot on and off the field about consistency. He helped me out a lot in my life." With advanced metrics and previously overlooked stats revitalizing his Hall of Fame case, Evans may be the next great slugger to praise Hriniak during his induction speech. Although his teachings and theories are less used by today's sluggers, Hriniak was the most celebrated hitting coach of his time and mentor to several Hall of Fame sluggers. Yet among the batting titles, MVP Awards, milestones, and other accomplishments the hitting guru shared with the many great sluggers under his direction, Hriniak takes a special pride in his work with Evans. "Of all the players I worked with, he's probably the guy I did the most for," Hriniak said of Evans. "He was a fantastic pupil because he was ready to listen."